What is cayenne pepper? Cayenne pepper is a long, red, pepper related to the jalapeno, paprika, and bell pepper. Extremely hot in taste, cayenne pepper has been used as a spicy seasoning for centuries. However, cayenne pepper is equally revered for its all-around body and health benefits. But for what is cayenne pepper good? Cayenne pepper benefits have shown to help the skin, circulation, the respiratory system, digestion, can be the home remedy to get rid of the cellulite on your thighs and blood sugar levels, explaining why it has been a key ingredient in herbal remedies for centuries. Cayenne pepper, most often found in the kitchen in its powdered form, is an extremely spicy red pepper of the Capsicum genus. Also known as Guinea spice, cow-horn pepper, and bird pepper, cayenne peppers feature prominently in Korean and Sichuan cuisine, among other Asian cuisines, and has been used as a herbal supplement since around 1653, when mentioned in Nicholas Culpeper’s book Complete Herbal. Cayenne peppers are most often found in subtropical and tropical regions of the world as they grow most abundantly in warm temperatures, with moist, nutrient-rich soil. Cayenne peppers are surprisingly high in calories; however, it is difficult to eat a great deal due to the high spice level. 100 grams of cayenne pepper contains around 318 calories. Despite this, in terms of cayenne pepper benefits, these types of peppers are very high in fiber, with a 100-gram portion providing over 100% of the daily requirement of fiber. An excellent source of vitamins, 100 grams of cayenne pepper provides 830% of the daily vitamin A recommendation, as well as 125% of the recommended amount of vitamins C and B-6. Cayenne peppers are also high in magnesium and iron, as well as being relatively high in protein, providing 25% of the daily requirement in only 100 grams. Although cayenne peppers may appear to be relatively high in fat, the majority of this can be attributed to unsaturated or 'good' fats. If referring to cayenne pepper as a powder, the recommended amount of 1 teaspoon a day provides 44% of your recommended vitamin A, while still providing 1 gram of protein and 1 gram of dietary fiber. If cayenne pepper has been used for so long in herbal medicine, what is cayenne pepper good for? Firstly, cayenne pepper is incredible for the digestive system. It aids with the processes needed for digestion, from mouth to stomach. When cayenne pepper first enters the mouth, it dramatically stimulates the salivary glands, helping to prevent bad breath, while also engaging the digestive organs. 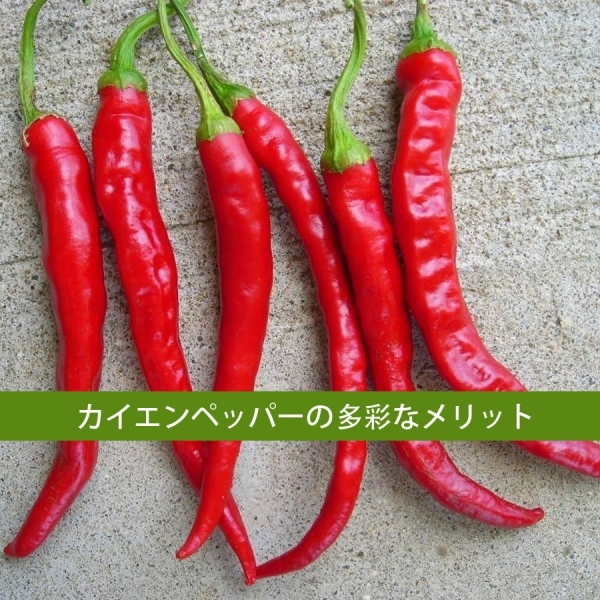 Secondly, cayenne pepper arouses enzyme production in the stomach, stimulating gastric juices, which help to break down food and metabolize nutrients and toxins entering the body. This helps to clear the digestive tract. The second and perhaps most miraculous of the cayenne pepper benefits is the effect it has on the heart. 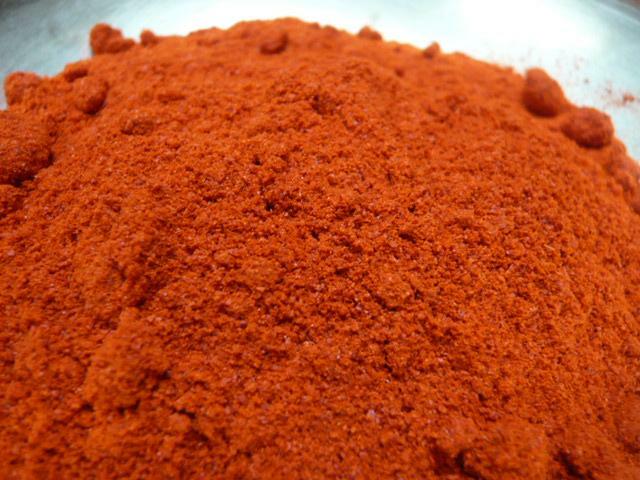 Herbalists use cayenne pepper to stop heart attacks. A teaspoon of cayenne pepper in a glass of warm water, when drunk by a patient experiencing a heart attack, will stop the heart attack within 10 seconds. This is because it relieves blood pressure, decentralizing it, equalizing the flow of blood. As a preventative measure, cayenne pepper can improve heart health and venous structure if one was to drink a glass of warm cayenne water every day. Cayenne pepper is also used in herbal medicine due to its anti-irritation properties. 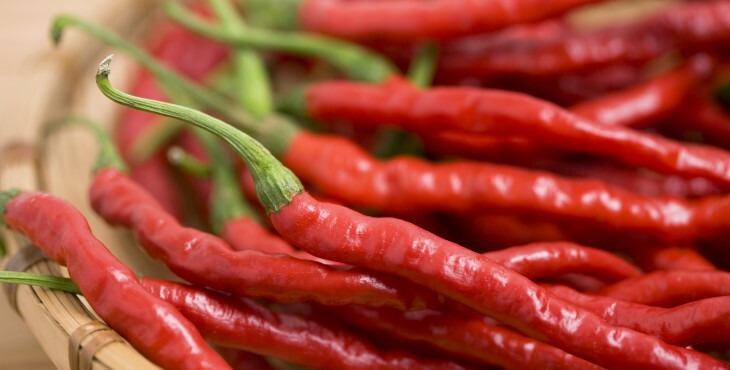 When drunk in tea or as a glass of water, cayenne pepper will ease a cough or a sore throat. The anti-irritation properties are the reason why cayenne pepper benefits psoriasis when applied topically. The spiciness brings the blood to the surface, helping to heal the dead skin cells or any infection that is causing the irritation, while cayenne pepper's antioxidant properties help to rejuvenate the skin by reducing free radicals. Equally, cayenne pepper is used to treat aching muscles and joints in the same manner. Anyone with arthritis will know that their medications usually incorporate some form of spicy pepper, usually cayenne. This is because it helps to bring the blood to the surface while boosting circulation, which eases the aches and pains. If you find you have a blocked nose, migraine, or a stuffy headache, cayenne can also help with this. Cayenne is a powerful decongestant. It stimulates the release of mucus from the sinuses while unblocking the airways, making it easier to breathe. This relieves pressure and tension in the head. It is recommended to drink a teaspoon of cayenne pepper a day in the water, but this can taste very spicy. Instead, brewing a healthy tea will taste a little better and add extra ingredients to boost your health. Try a teaspoon of cayenne pepper, with the juice of half a lemon, an inch of ginger, and a teaspoon of raw honey. Due to its high level of spice, it leads to the question of with what is cayenne pepper tasty? Try adding a dash to your eggs in the morning to give a kick to breakfast. Cayenne pepper is often used in the Mexican recipe of Eggs Ranchero. If you have a winter cold, try adding cayenne pepper to your chicken noodle soup. The tastes blend well together, and it will help with decongestion. Cayenne peppers can be made into delicious, spicy pasta sauces while adding dried cayenne peppers to Cajun cooking, really boosts that kick. Cayenne pepper is extremely strong, so always mix with oil such as coconut oil before applying to the skin, as it can cause burns and there is fear that repeated topical use can damage the nerves. Equally, cayenne pepper can irritate the eyes and cause further damage to open wounds, so try to keep it away from these areas. If cayenne pepper gets into your eyes or a wound, wash immediately with distilled, cold water. Do not give to someone with a high fever, as it will lead to further overheating. Cayenne pepper benefits the health in various ways. It can be used to provide high levels of nutrients, as well as for its medicinal properties. However, take precautions before applying too much.